Take Forza Horizon 3 for a test drive ahead of launch. Forza Horizon 3 has released a playable demo on Xbox One, just two weeks ahead of its upcoming release on September 27th. Although the game is being released on both Xbox One and PC, there’s no word yet as to whether a PC version of the demo will become available between now and its September launch date. The Forza Horizon 3 demo features various cars for players to test drive, including the sleek Lamborghini Centario displayed on the game’s cover art, as well as the BMW M4 Coupe, the Ford Shelby GT35OR, and the 2014 HSV Limited Edition GEN-F GTS Maloo. 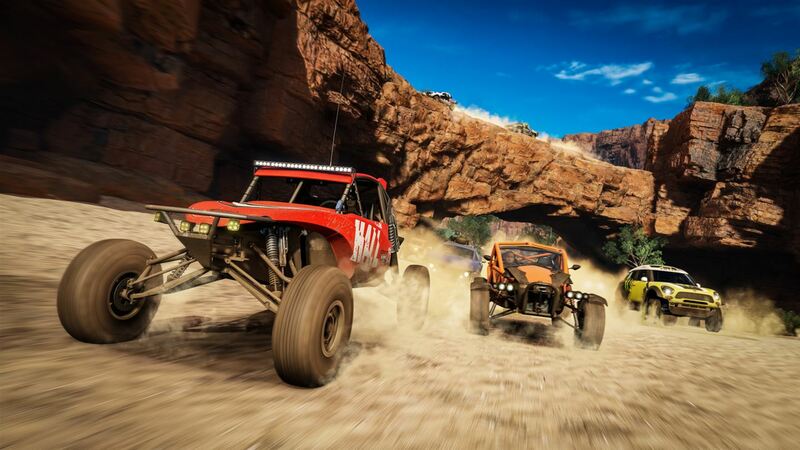 There is also a large trophy truck and several dune buggies for those who wish to test their off-roading skills. The demo also includes a guided tour to allow players to experience several of the top features in the game. Forza Horizon 3 takes place in Australia, and players are in charge of organizing a huge music festival called the Horizon Festival. Players must spread the reach of the festival throughout Australia, while experiencing over 350 amazing cars along the way. The demo requires approximately 18.34 GB of space to download, and players can begin downloading the demo straight from the Microsoft Store product page, or from the store section of the Xbox One. Forza Horizon 3 is set to be released on September 27th for Xbox One and PC. However, players who purchase the Forza Horizon 3 Ultimate Edition for $100 can start playing on September 23rd. The Ultimate Edition also comes with the Car Pass, which includes six monthly car packs that will be consecutively released each month starting in October. Additionally, as a part of Xbox Play Anywhere, players who pre-order the game digitally can play Forza Horizon 3 on both Xbox One and Windows 10 PC. Keep in mind that this option is only offered for digital pre-orders, not the physical game discs. The Forza Horizon 3 demo is a useful option to help players decide whether or not to purchase the game. Let us know which vehicle you enjoyed the most in the Forza Horizon 3 demo!